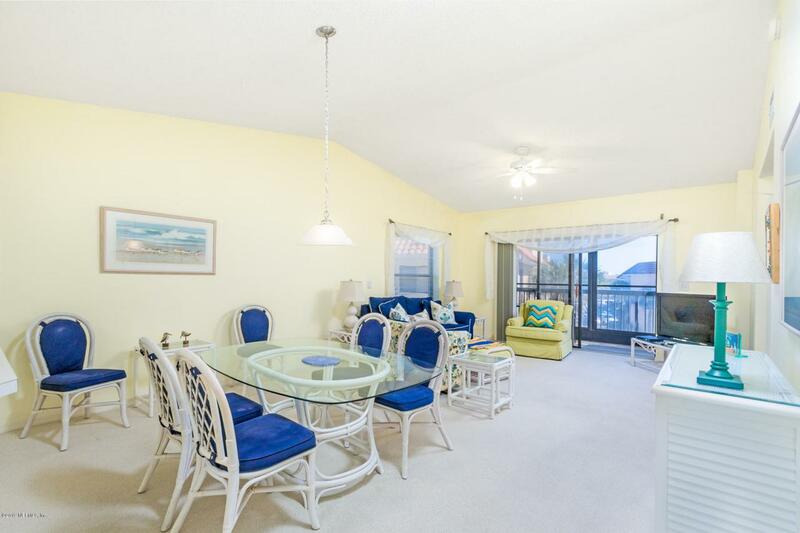 You will love how light and bright this third floor, end unit beach condo is. The unit is open and airy with a vaulted ceiling for an extra feel of space. The lanai is screened with vinyl sliders for year around use and has nice tropical pool views. The unit comes with motorized hurricane shutters that are so easy to use. Fully furnished as viewed and ready to use as your home, second home or vacation rental. Great, gated ocean front complex with so many amenities. This is Florida living.The open plan has a nice sized kitchen that looks out over the dining and living areas. The spacious master bedroom has an ensuite bath with walk-in shower and extra storage closet. The motorized shutters are easy to use for peace of mind, along with the 2016 A/C and 2015 hot water heater. 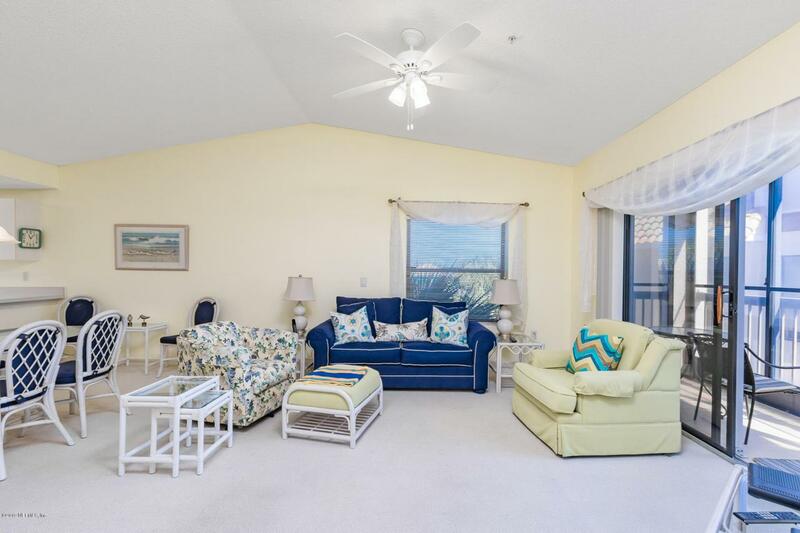 You will love relaxing on the lanai that can be your three season room. Great location within the complex just behind the clubhouse with fitness and near the heated pool and tennis courts. 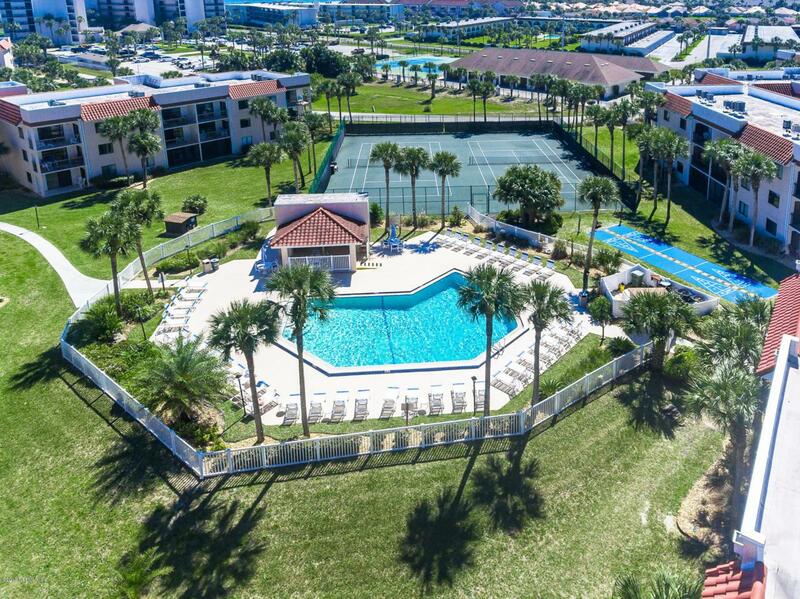 You also can enjoy the ocean front pool, shuffle board, picnic area, and, of course, the walkway to the sugar sand beach! You can walk to dining or shops, and just a short drive to Historic Downtown St. Augustine or tourist attractions. This is the perfect location to call home, have a second home or use as a vacation rental and it is ready to go. 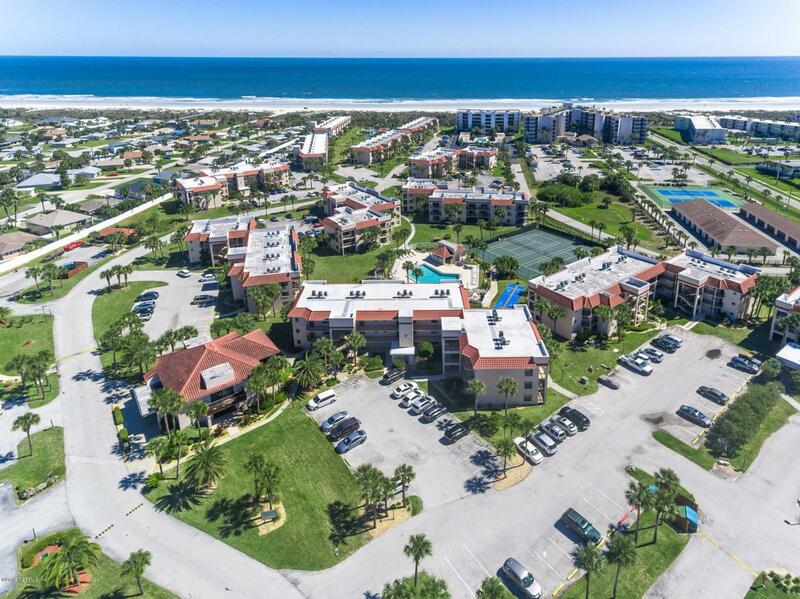 Start your Florida lifestyle here.